The month of February is considered to be a “romantic” month. However, just because February ends doesn’t mean we stop loving our significant other. We love them year round, right? We want them to stay healthy, happy, and be with us forever! 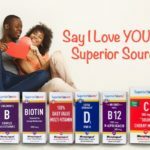 So, what better way to say “I love YOU” than with the natural and healthy benefits of Superior Source Vitamins? Christmas is a time of love, family, and being together. And, of course, we love to show our love by giving them meaningful gifts. In the whole scheme of things, one of the very best gifts you can give your family and friends is the “gift of health”! When your loved ones have their health, it is more meaningful than any physical item they could ever have. 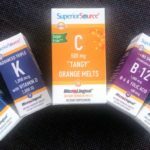 This year, why not stuff your family’s stockings with amazing vitamins from Superior Source to help keep them healthy for a long and happy life?! The holiday season is one of our most anticipated and magical times of the year. However, it is also one of the busiest! It can have us running from here to there and literally draining ourselves and our immunity! From shopping to parties, there is always something going on! Being out and about and around so many people can leave us exposed to various colds and flu bugs! The best way to fight the onslaught germs is to be the healthiest we can be. 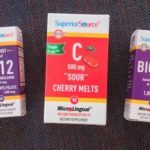 This fabulous Cornucopia of Health Vitamin Pack from Super Source can help! 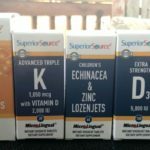 Our kid’s health is always a priority and with the winter cold and sniffle season right around the corner, it only makes sense to build their immune systems to keep them as healthy as possible. 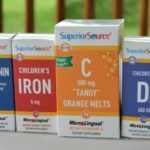 We are celebrating National Healthy Children’s Month with Superior Source vitamins! 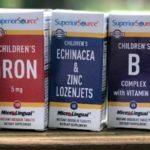 Superior Source MicroLingual® vitamins are easy to take a must-have for keeping your kids healthy! There is always something to be said about aging. But, getting older does not mean you can’t live a healthy and full life. We can help ourselves age gracefully and, most importantly, healthy by practicing a healthy lifestyle. However, eating right and working in a little exercise may not be enough. 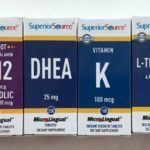 Adding supplements to our daily regimen can help boost our health and immune systems and help us get the nutrients we may be needing. That is where Superior Source Vitamins can help! 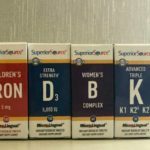 This year, why not celebrate National Healthy Aging Month by adding Superior Source to your daily regimen? !